Car sat for 24 hrs and barely started this afternoon. The MCU update didn't correct my issue with the android unit drawing power while the car is completely off. Advised Ray. Will follow up on Monday. Pretty disappointing to say the least. I turned on my car this morning and noticed that the Android screen was already booted it up as if it was on all night! I’m on Android 7.1 (OS version 181219). I’m guessing the issue is intermittent but it will definitely drain your battery at some point! Another issue that happened this morning is that I got a message saying Hard Drive is full and then the screen got stuck in a boot loop.. for anyone with the same problem, the solution is to open the Files Explorer app on your screen and delete the contents of the folder called MTKLogger.. you’ll have around 20 seconds to do it before the screen reboots by itself.. Once that is done you have to download an app called “Engineering Mode MTK” from the play store and use it to turn off the MTK log that fills up your drive.. So basically my screen stayed on all night filling up a log file called MTKLogger.. Maybe this is what’s keeping the screen on at night, at least for my unit, I’ll check again during the day, maybe turning off this log solved this issue.. I'll check into this today and will update everyone if that is a potential fix. Hope Ray has a permanent fix soon. Any news on if that fixed the problem and where do you turn off the MTK log in the MTK engineering app? I did it on Sunday afternoon before I had to fly out for work and am away until late tonight. It will be interesting to see if my car starts tonight when I land. I will try and post the steps of how I used the MKT engineering app later this. Work is crazy busy. I applied the MCU update and my back up camera image is all messed up now. My battery still drained over the weekend. Sunday morning it was dead after sitting 11 hrs overnight. This can't be good at all for our batteries. I'm now keeping my Noco Genius hooked up to keep the battery charged up. Ray sent me a text yesterday morning saying he has to pass on the battery issue to another engineer in China. 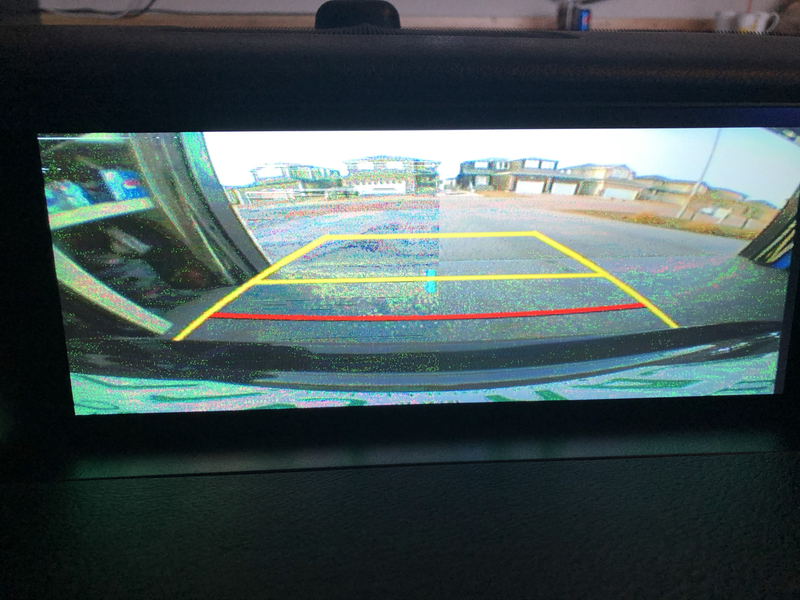 So I've got two guys, one figuring out why after the MCU update my backup cam is f'ed and now another person working on this battery drain issue. I guess it's a good thing they are working on it but it sure does seem us early adopters are 'beta' testers for the software as there are a lot of software bugs with these units. Still waiting for Ray to send the Android 7.1 update. Just spoke with Ray. I'm working with the original engineer now who helped solve my audio issues a few pages back. He is now working directly with me to figure out both issues. I will keep you all posted. Just tell me when your finished being the """beta tester""" and all the bugs are ironed out and ill give it a shot then. What are the differences between 6.0 & 7.1? Look forward to having you eventually join the fun bro Just sub to this thread to follow the adventure. Cheers. Great keep us updated, I sent my screen information to Ray for the update but haven't heard back on the 7.1 file yet. Also for anyone using Autobox make sure to keep your software updated for both the app software and dongle software - you can do this from the settings in the app itself (need to be connected to WIFI) without your phone plugged in. If you are familiar with Android it is a year newer software, less bugs more secure, etc. The current android software is 9.0 (Pie), for differences you can google changes between android 6.0 (marshmallow) vs 7.1 (nougat). Hmmm. Interesting. I don't keep my CarPlay dongle plugged in as I'm usually streaming music or videos from the USB drive. I did update the CarPlay dongle when I first got it as it didn't work. I'm going to check using that program you mentioned to see if all my stuff is updated. Speaking of updates. I got a MCU file from the engineer which now completely turns off my unit. So far, car has been good. Knock on wood. He also sent me a link for the Android 7.1 update. I will be updating later tonight. 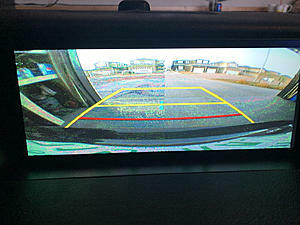 Still no solution on my backup cam video but he is working on it. Could be the old Autokit software keeping the unit on detecting there is something plugged in if you don't unplug it before you turn the car off. What did the engineer say the file did that turns your unit off completely now?